Guangdong's GAC Motor is putting out the "Help Wanted" sign for engineers, marketing and management talent in the United States, and analysts in the auto industry say it may be a prelude to the company's entry into the US auto market. GAC, a unit of Guangzhou Automobile Group Co Ltd, on Wednesday announced it was launching the recruitment program that would center on Boston, Detroit and Silicon Valley to attract skilled and creative people to join its international team. Because GAC is seeking talent in Detroit, the heart of the North American auto industry, along with Boston and Silicon Valley, areas that have a high concentration of technology companies and people, it prompted speculation that GAC is building a team for a run in the US market. At January's North American International Auto Show in Detroit, GAC made no secret of its desire to bring a model like the GS7 to market here, so that is definitely a part of the near－to medium-term agenda," David Zoia, editorial director of WardsAuto.com, wrote in an email. The GS7 is a midsize sport utility vehicle that the company unveiled. GAC also said it would open a research and development center in Silicon Valley later this year. Stephanie Brinley, auto analyst at IHS Markit, said GAC is looking to expand its business inside and outside of China, including the US. "Recruiting from Detroit is likely to capture talent with particular expertise or interest in the auto industry, while Boston and Silicon Valley are more likely to be rich in technology and engineering talent. 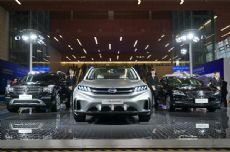 As GAC's entry in the US market is still some years off, employees hired from the US may well take a role in launching the product," she said in an email. James Zhang, provost and senior vice-president of academic affairs at Kettering University in Flint, Michigan, formerly called the General Motors Institute, said technology is rapidly changing the global automotive industry and companies have a vital need to identify talent worldwide. "If GAC is looking at being a technology-focused company in mobility and automotive, those regions allow them to access intriguing talent to build out their global talent portfolio. GAC's expansion into these markets will give the company access to some of America's most robust and technology-oriented markets in order to build their North American talent and capacity," Zhang said in an email. Zoia said that it wasn't surprising that GAC is looking to raise its profile worldwide. "Competing against the world's best automakers outside of China is the best way for GAC or other Chinese automakers to improve the quality and performance of the vehicles they make and gain better access to advanced technology from global suppliers," he said.